My journalistic man crush, Doug DeDemuro (he's written a book, by the way, I hear it's great), has now written an article saying that in order for the Toybaru to sell better, it needs more power. It's all a chicken-egg situation, and I think everyone is wrong. You see a few journalists, who are used to driving high-performance cars, are calling out for more power. Us armchair-enthusiasts have latched on to this sentiment, and are saying, "Nah bro, needs more power man. My GTI runs rings around that." The problem with these armchair-enthusiasts is that these were the same guys (and girls, and everyone else) that were crying out for this sort of car. Then when it came, no one put their money where their mouth is. In fact, they rarely do. The forum-goers, Jalops, etc. will all beg for a RWD, turbocharged, station wagon, with 1000hp but then none of us will actually buy one when the time comes. I did. I begged for Toyota to build a lightweight, RWD, back-to-basics sports coupe. When they launched it I carefully read the reviews, and took the plunge. Not once have I found myself complaining about the power. The fact-of-the-matter is, in a typical city filled with anti-speeding measures from the government, it has as much power as you'll ever need. Will more power sell more Toybarus? Maybe. Would it have been more successful if there was an open-top version? Perhaps. The real answer to this would require in-depth research. I don't have research, but we're mostly armchair enthusiasts anyway (which means the best-selling car in the world is the one you saw the most of today). All I have is anecdotal evidence, and based on that, the GT86's problem isn't power. 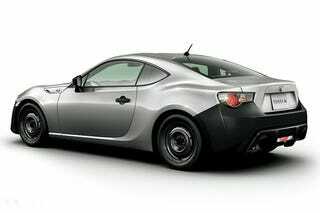 If you haven't driven a GT86 before, go test-drive one now. It's got enough power for you to enjoy driving it at 10/10ths every single day, which in my mind is a lot more fun than driving something more powerful at 5/10ths most days.